Description: Apply Online for 172 Chargeman Posts in Indian Navy, Across India. 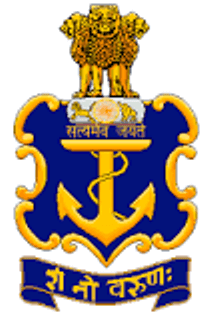 Indian Navy published an official notification for Recruitment of Chargeman for 172 posts. Eligible candidates can apply for this recruitment. You can view more details about this recruitment including No. of posts, name of post, Educational qualification, Age limit, Selection process, How to apply etc... You can also view official notification and other important facts about this recruitment e.g. Important links and Important dates. Two years working experience in quality control or quality assurance or testing or proof in the area of design or production or Maintenance of Engineering equipment or system from a recognised organisation. Candidates (except SC/ST/PwBDs/Ex-Servicemen and Women candidates, who are exempted from payment of fee) are required to pay a fee of Rs. 205/- (Rupees Two hundred and five only) excluding applicable taxes and charges through online mode by using net banking or by using Visa/ Master/ RuPay Credit/ Debit Card/ UPI. Admit card will be issued for the examination only to those candidates who have successfully paid the examination fee or who are entitled to waiver of examination fee. Final Selection will be based on Written Exam and Interview.